In this edition of our newsletter, we provide updates on the efforts undertaken by our partners across North and South Carolina to assist those impacted by Hurricane Florence. We also share the uplifting story of Dawn, who was served by the NYServes-Upstate community. Lastly, we discuss how we are using data to inform and improve our practice across the country. As always, thank you for your continued support and partnership. This September, North Carolina was hit with the second rainiest hurricane ever recorded in the state. Anticipating the worst, the five AmericaServes communities located in North and South Carolina came together to develop a contingency plan to ensure continuous operations across the region during and after the storm. Ultimately, SCServes and NCServes-Coastal were forced to close their doors along with many of the area’s service providers. In response, NCServes’ Western, Central, and Metrolina networks stepped in to answer the service requests coming from the impacted region. To date, a number of those in need have been successfully connected with relief efforts. Our thoughts are with our teammates, partners, and all the families across the region as they recover from this natural disaster. Our team will continue to assist wherever they are able to do so. When Dawn, a US Navy veteran, came to NYServes-Upstate she was near a breaking point. She was in fear of losing custody of her 15-year old daughter and her home. Receiving constant threats of eviction from her landlord despite living in uninhabitable conditions, Dawn was desperate for immediate help. 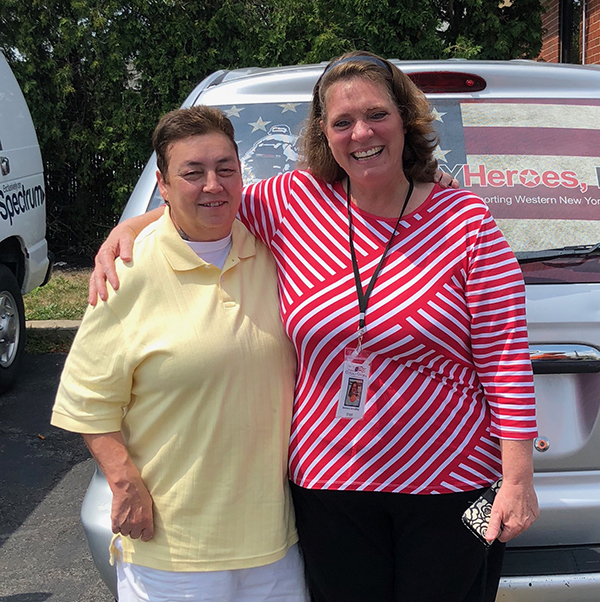 Our Upstate team and their partners at Veterans Outreach Center connected Dawn with the resources she needed to turn her life around. The word of Dawn’s story got out and other local organizations were connecting with AmericaServes to see how they could help. Dawn’s time with her local AmericaServes network not only brought her security and stability, but also a lifelong friend. 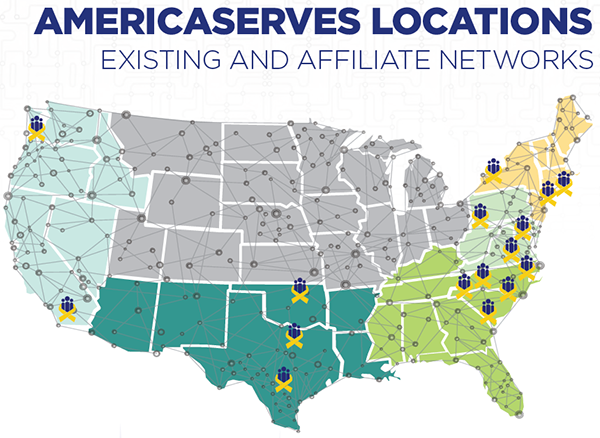 Data informs all that we do at AmericaServes. Our partners depend on data to understand what’s working and what needs improvement. With those partners in mind, several AmericaServes team members wrote a blog piece explaining five key metrics from our overarching set of key performance indicators (KPIs), as part of our efforts to shape our underpinning practice around its designed purpose: utilizing knowledge to improve performance.